Leeds is referred to as a 24 hour European City and the capital of the North – and while it may be better known for its Real Ale rather than its wine - we can bring the wine! Whether your wine tasting in Leeds is an excuse to celebrate with friends at home or away or corporate entertainment for colleagues or clients, we have a number of different wine tastings to suit your needs. We even have a Beer and Wine tasting available! So, whatever you’re looking for, ThirtyFifty has a number of different tastings and formats from pure entertainment to educational, with the most important element being about having fun. All from ThirtyFifty the award winning tasting company. If you are looking to go out restaurants are a great place to have a wine tasting followed by a meal. We have worked with a number of venues in Leeds and are happy to recommend a venue. The list below highlights our most popular wine tasting venues in Leeds, to see our full list of venues across the country please go to our venues page. 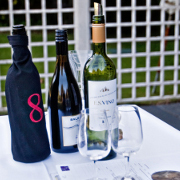 We run regular wine tastings in Leeds from 2 hour evening sessions to one day wine courses. The tastings are educational and fun, ideal for anyone with an interest in wine. Below are forthcoming events in the area. As well as offering events in Leeds we also organise regular wine tastings in and around Yorkshire.